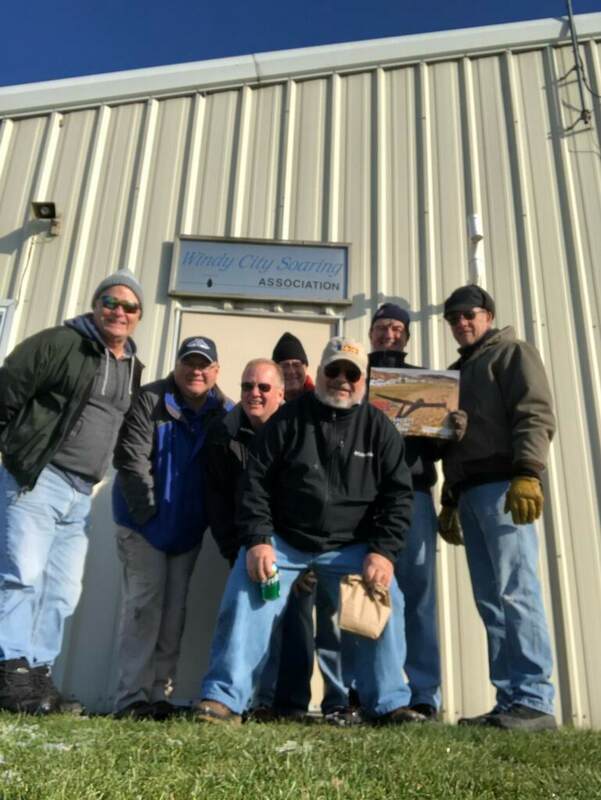 Glider Disassembly & Winter Prep were completed on Sunday 2018.11.18 by a handful of dedicated members. We started a little after 10:00 AM and finished just in time to catch an early dinner at our favorite joint. Yep, you guessed it, South Moon BBQ in Hinckley. The 2-33, and both ASKs were disassembled and stored in the hangers and the trailers were moved indoors. The Grob was already handled. So, we look to be pretty much ready for winter. We also arranged things so that we have plenty of room for winter projects. If you do venture out to airfield to assist with projects, please remember to be extra careful around the wings. And, also remember to manage our use of heat wisely. It can get expensive if we run the heat unnecessarily high or forget to lower it when leaving. There will be winter projects posted on our calendar and members should volunteer whenever possible to assist with those projects. So, please do check in on the calendar every now and again for project dates. In any case, another season is under our wings and with a little effort throughout the off season we can expect next year to start out flying high. Thanks again to all who helped with winter prep.